It’s a really interesting way to make candle holders. 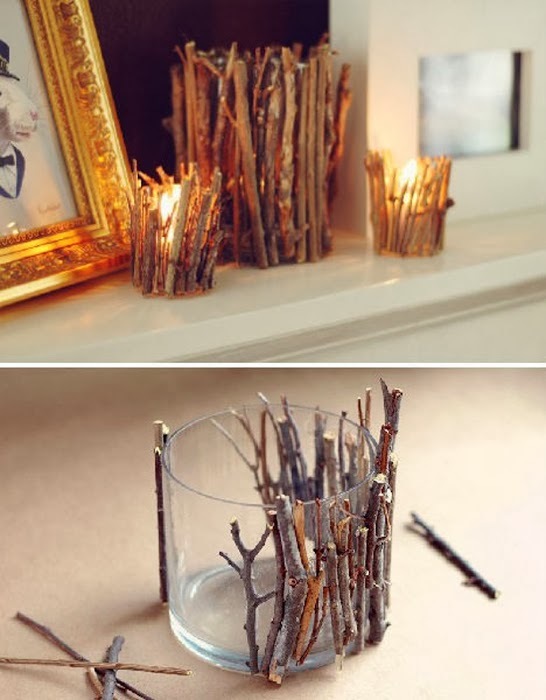 Just pick some dry twigs and put them round a glass. You can bind them with a cord, for example. The result is a new small simple piece of decoration suitable for your living-room.